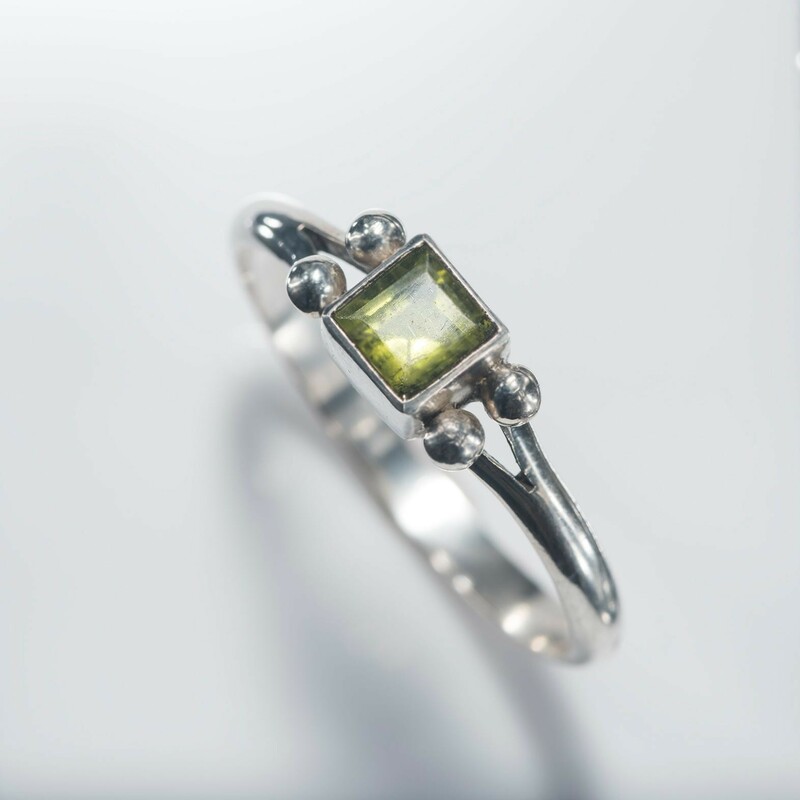 Classic square facet-cut ring truly exemplifies the beautiful jewelry designs with facet cut square of a Peridot stone. This captivating and stunning s... Read more. Classic square facet-cut ring truly exemplifies the beautiful jewelry designs with facet cut square of a Peridot stone. This captivating and stunning sterling silver ring is exclusively an artisan jewelry just for you.The classic look of it's soft green color and simple yet interesting ornamentation, makes it wearable 365 days of the year.